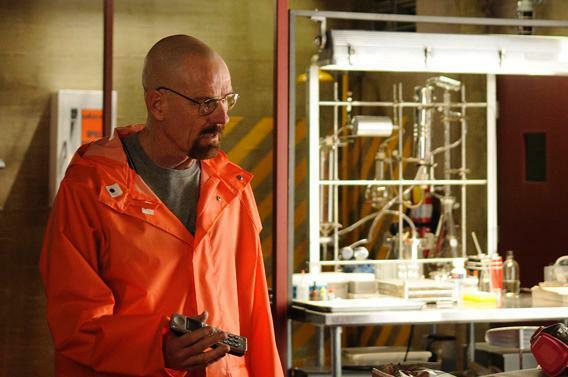 Breaking Bad: Do police officers and law enforcement vets watch the AMC show? Do Police Officers and Law Enforcement Vets Like to Watch Breaking Bad? My kids have been telling me for years to watch this show because of my background. I’m only halfway into Season 2 by way of Netflix. I’ve investigated more than 100 “super labs” and their organizations in California. Super labs are by definition capable of producing 10 pounds or more in a cook cycle. A cook cycle usually can be completed in 36 hours or less. Like anything else made in Hollywood, cop shows are full of inaccuracies, but this show isn’t too far off. Sponsors want to make money so they can make whatever changes they want. But the most significant error I see so far is when the “chemists” started using P2P (phenyl-2-propanone) when they couldn’t find pseudoephedrine. Sure the qualitative test may show that it is 80–90 percent pure. But the users don’t care for this old-school biker method. The P2P method is the old stinky meth that everyone remembers smelled like dirty socks when it was produced back in the ‘70s. Even when cleaned up and converted to “Ice” at 90 percent, it lacks the “kick” like the pseudoephedrine method. Users refer to the pseudoephedrine and red phosphorus as like jet fuel in comparison. I’ve seen cases where 10 pounds and more of crystal meth was returned to the broker because the client base didn’t like the high when used. The Mexico-based cartels created the newer methamphetamine using pseudoephedrine and red phosphorous more than 25 years ago and took control of the meth trade. It exploded in California, and our state became the “source nation” for methamphetamine. Even though smaller states like Missouri might have 900–2,400 meth-lab incidents in a year, California produced more in one super lab than all 2,400 of theirs. Now with constraints and regulations on the sale of pseudoephedrine, these clandestine labs have changed their recipes. It is common for teams of “smurfs” to go from store to store buying all the pseudoephedrine they are legally allowed to purchase and sell it to a middleman with a connection to a lab operator. It is also very difficult to purchase the lab equipment that you see on this series. The large round-bottom flasks, condensing columns, and funnels are difficult to purchase because of federal and state regulations. As far as the violence goes, I don’t think they are exaggerating a bit. Violence in Mexico has grown exponentially with the growth and sales of the methamphetamine industry. Mexician labs are producing sometimes 1,000 pounds in a cycle. Their biggest problem is getting it across the border. But back to the question. I’m trying to catch up with the series on the weekends. Now that I’m no longer working major organized crime, I can watch it on TV. Do you have any reservations about the attitudes of any of your police colleagues? What is the difference between a person of interest and a suspect? How is a manhunt coordinated?